While in yoga circles, one may hear of all the benefits of Kundalini Yoga, but in the medical community, as well the general population, it is the dangers of Kundalini Yoga that most often overshadow any positive sides of the practice. Unfortunately, there is not a simple answer to the question of whether the Kundalini style is safe and good, or unsafe and bad. For some people, the art is a life asset; for others, the practice has awakened frightening and negative experiences. Kundalini is a specific type of yoga that brings together all of the yogic disciplines in order to maximize the practice and effects of yoga. 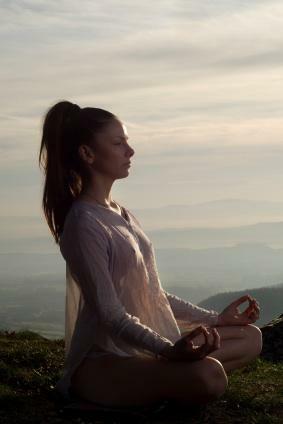 While many types of yoga bring together asanas and pranayama (postures and breathing techniques), Kundalini also incorporates chanting and meditation into the yoga practice. It is because all these aspects are combined that some feel the effects of the practice can be so extreme. Kundalini Yoga has many reported positive effects, such as increased happiness and mental balance, as well as an ameliorated physical state. However, for some practitioners, the effects of Kundalini are not positive ones. If Kundalini is practiced in the right way, there is not much chance that the effects of it will be harmful. However, the difficult thing about practicing "in the right way" is that it is very much related to the teacher who is guiding you. Unfortunately, there seem to be some Kundalini master teachers who are not actually able (yet) to successfully guide all of their students. Some masters have been able to develop their own Kundalini energy experience very quickly, which makes them seem suitable within the yoga community. However, this does not necessarily mean you are able to guide others through the same process with ease. Kundalini Yoga can be a frightening and anxiety-producing experience because it can bring up raw emotion. Having a bad experience with this style can range from becoming frustrated because one practices for a few months and experiences nothing, to full-fledged psychotic episodes brought on by the intense yoga experience. Traditionally, it was only once yogis were fully prepared for the experience of Kundalini that they were advised to begin a kundalini practice with a master of this special form. But in the modern world, people read about Kundalini online and, because of its benefits, decide to start practicing it immediately. This is not how it is meant to be done, and it is understandable that beginning in this sudden manner can lead to unfavorable results. The worst case scenario is that kundalini yoga has an effect, but a very negative one. Psychotic episodes likened to panic attacks and LSD trips have been reported. While for some these symptoms can last for hours or days, others have experienced an altered physical and/or mental state for years. In order to prevent this from happening, you must ensure that you have sought out a true master teacher. A master teacher will help you prepare for the spiritual experience of Kundalini in a methodical way. Yoga masters maintain that one should be prepared for Kundalini long before beginning it, and that the practice itself will take years, if not decades, to produce results. It is not strange then that if the practice is begun suddenly, that results will not be immediate or, unfortunately, the results could be fairly immediate, but not desirable. While the potential positive effects of Kundalini yoga are desirable, the dangers are real. Exercise caution when choosing a teacher, and, most importantly, allow yourself the time to understand the practice and how it may affect you.